The focus for the new Elite Landscape Services website design and development focus was to feature large beautiful images, showcasing their excellent design and installation work. The site displays a wealth of before and after images along with dream retreats and unique projects that gets the ideas flowing when a visitor is considering a new landscape project. 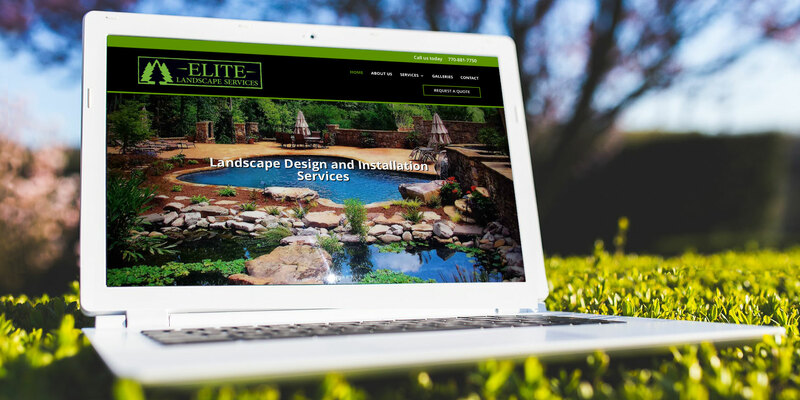 The Elite Landscape Services corporate branding included a reboot of their social media as well as presentation sales collateral, postcards and other printed communications. The rebranding process created stunning visuals to use in their signage and truck graphics all intended to created a strong and recognizable brand across all their advertising channels.